A K. van Bourgondien exclusive introduction! 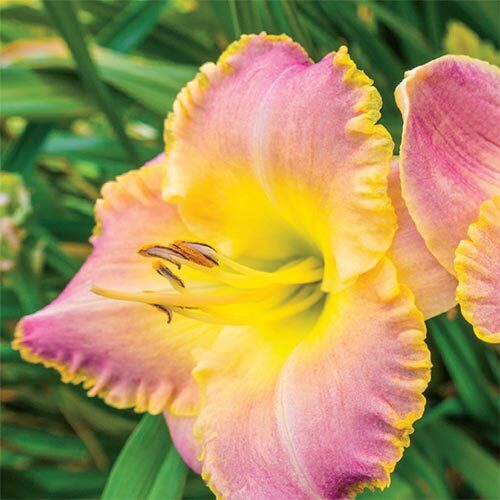 This rebloomer has large, 5" pink flowers with delicately ruffled goldenyellow rims and green-yellow centers. Soak well before planting. Loosen soil well and plant with the eyes (sprouts) just below the soil. Water well after planting. Mulch in more northern areas.